Sometime in May of this year I found myself at one of NYC's best venues - The Sunset Terrace. Fantastic views - check. Ample room for dancing - check. Unseasonably warm May evening - check. Sure, these ingredients make for a pretty great party. 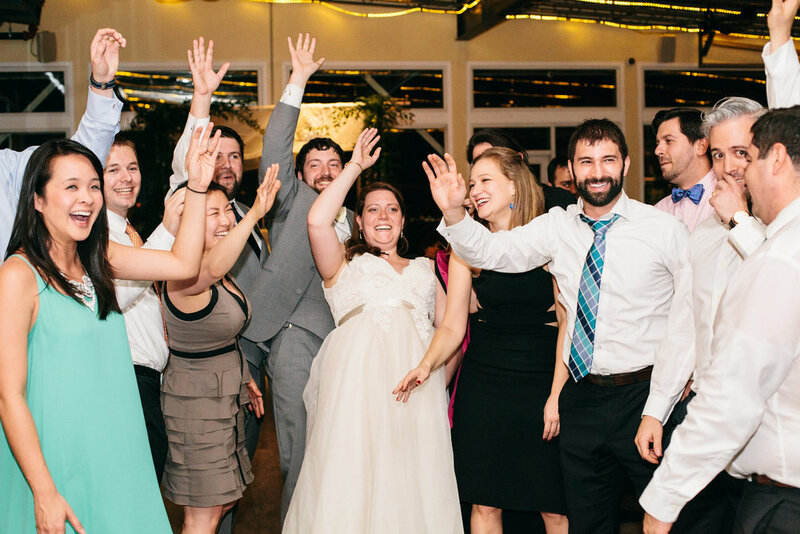 But Rebecca & Jesse's wedding wasn't just a great dance party. It was a perfect spring evening filled with love and surrounded by what looked like an extended and incredible family. Their wedding was truly one of my favorites of last year. Looking back on these photos, I immediately think of all the love that was present in the room until the very last song. Speaking of songs. The set list from this dance filled evening can be looked by clicking here. Thank you Rebecca & Jesse for allowing me to be a part of this magical evening. Beautiful photos provided courtesy of Samantha Lauren Photographie.